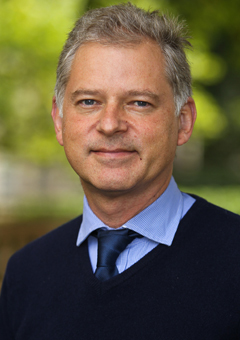 Philippe Le Corre is Associate Research Fellow at IRIS, specialized on China and Southeast Asia. He is a Senior Fellow with the Mossavar-Rahmani Center on Business and Government and the Belfer Center for Science and International Affairs at the Harvard Kennedy School. From 2014 to 2017, he was a Visiting Fellow at The Brookings Institution where he wrote primarily on European and Asian affairs. Philippe has been a Lecturer at Sciences Po since 2005. In 2013, he initiated a course on « China’s image and influence ». He has also taught at HEC Paris, France’s top business school, the National Institute for Oriental Languages and Civilizations (INALCO) and Johns Hopkins University. At Harvard University, he was also a Fellow of the Weatherhead Center for International Affairs in 2003-2004 and was a member of the Harvard Alumni Association (HAA) Board of Directors in 2013. Between 2010 and 2012, he was president of the Harvard Club of France. A long-time specialist of Chinese affairs, Philippe Le Corre was a foreign correspondent in Asia from 1989 to 1998, working for Radio France International (RFI) then for the French newsweekly Le Point. He was also posted in London as a foreign correspondent, frequently appearing on BBC programs. From 2001-2003, he was president of the Foreign Press Association (FPA). In 2004, Philippe was appointed a Special Assistant to the French Defense Minister and also served as a Senior policy analyst on Asia within the Defense Ministry policy planning unit. From 2007-2012, he was a partner at Publicis Consultants, part of Publicis Groupe where he handled primarily Asian accounts. In 2008-2010, he ran a team of consultants advising the 2010 Shanghai World Expo Organizing Committee and the City of Shanghai. Philippe Le Corre is a French Foreign Trade Adviser, a founding member of the China-Europa Forum association, a Board member of the French-American Foundation (New York), a member of the Institute for International and Strategic Studies (IISS-London) and sits of the Editorial Board of Europe’s World, a Brussels-based foreign policy journal. He is the author of five books, including China’s Offensive in Europe (Brookings Institution Press, 2016), Tony Blair, les rendez-vous manqués (Autrement, 2004), Quand la Chine va au marché – Leçons de capitalisme à la chinoise (Maxima, 1999), Après Hong Hong : Chinois et cosmopolite, un pays deux systèmes ? (Autrement, 1997), Hong Kong (Romain Pages, 1996). He has published extensively in publications such as Asia-Europe Journal, Foreign Affairs, Foreign Policy, National Interest, Far Eastern Economic Review, Journal of Commerce, China Perspective, China Economic Quartely, Défense Nationale, Revue de Relations internationales et stratégiques, Wall Street Journal, Financial Times, Le Monde, Les Echos and Ouest France. He appears regularly on international networks such as BBC, Bloomberg TV, CNN, CNBC, France 24, RFI, NPR and others.